Taking small daily serving of aspirin have been recommended by allopathic doctors for some time. Beyond its more typical use as an analgesic for occasional headache, fever and body aches, aspirin and its close derivatives are frequently used by people the world over to help the minor symptoms of a wide range of health conditions. There's a large body of documentation supporting the little white pill's ability to prevent heart attack and stroke, as well as a number of other serious health concerns such as the formation of blood clots in high-risk individuals. More recently however, an increasing number of potentially serious side effects associated with its daily use have come to light. What are the Dangers of Taking Aspirin? If taken regularly over an extended period of time, even very small amount of aspirin can lead to the formation of painful stomach and intestinal ulcers. Larger amounts have also been associated with tinnitus (ringing in the ears), and it is know to interact poorly with a number of other pharmaceutical drugs. 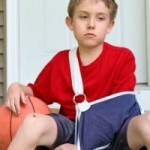 There is also a small but noteworthy potential for allergic reactions, particularly in younger children. 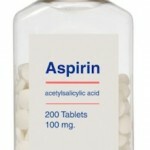 Aspirin is the oldest of what are known as "nonsteroidal anti-inflammatory drugs." Now, according to researchers at the University of East Anglia (UAE) in the United Kingdom, it appears that taking aspirin regularly may also increase the risk of developing Crohn's disease in some individuals by up to five times. 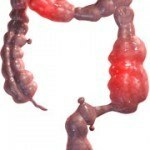 How are Crohn's Disease and Aspirin Connected? Crohn's disease is a devastating form of Inflammatory Bowel Disease (IBD) that can cause severe irritation, and even bleeding, throughout the entire entire digestive tract. 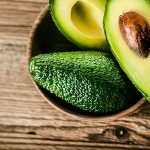 Its impact on sensitive digestive tissues is undisputed. Aspirin's tendency to cause ulcers with prolonged use is what initially lead University researchers to investigate the connection between the two. Researchers conducted followup investigations on 200,000 participants who had been involved with an earlier European study, started in 1993, which focused on the link between cancer, nutrition and aspirin use. The research teams tracked volunteers aged 30-74 living in the UK, Sweden, Denmark, Germany and Italy. It wasn't until 2004 that a small but statistically noticeable number of them began to experience Crohn's disease. While only about one in 2000 subjects involved developed the disease, the rate appears to be about five times the expected average for a population sample of its size. Researchers caution that while the numbers suggest strongly that there is a connection between regular aspirin use and Crohn's, further investigation is needed. If your regularly take aspirin, please continue to do so, until you fully discuss your options with your doctor first. I hope toxic compounds are taken off the market and doctors are taught to address the root cause of health problems instead of the symptoms. Just one more reason people should keep their body healthy and colon clean! Dr. Andrew Hart. Regular use of aspirin increases risk of Crohn's disease by five times. University of East Anglia. 2010 May 4.